How can the world achieve the deep carbon emissions reductions that are necessary to slow or reverse the impacts of climate change? 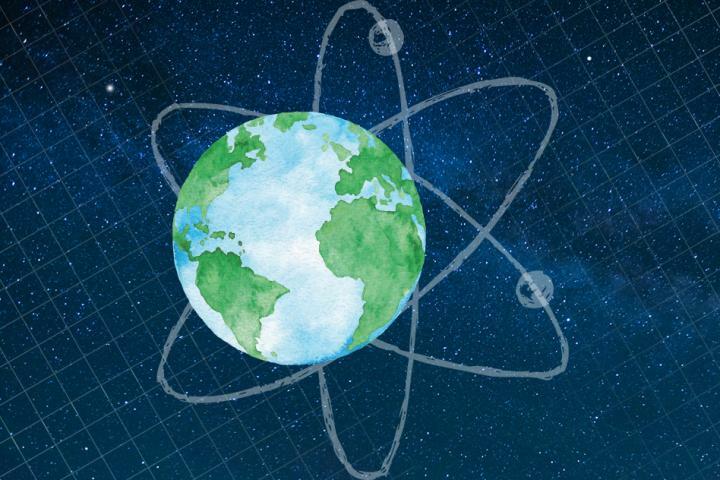 The authors of a new MIT study say that unless nuclear energy is meaningfully incorporated into the global mix of low-carbon energy technologies, the challenge of climate change will be much more difficult and costly to solve. For nuclear energy to take its place as a major low-carbon energy source, however, issues of cost and policy need to be addressed. In "The Future of Nuclear Energy in a Carbon-Constrained World," released by the MIT Energy Initiative (MITEI) on Sept. 3, the authors analyze the reasons for the current global stall of nuclear energy capacity — which currently accounts for only 5 percent of global primary energy production — and discuss measures that could be taken to arrest and reverse that trend. The study group, led by MIT researchers in collaboration with colleagues from Idaho National Laboratory and the University of Wisconsin at Madison, is presenting its findings and recommendations at events in London, Paris, and Brussels this week, followed by events on Sept. 25 in Washington, and on Oct. 9 in Tokyo. MIT graduate and undergraduate students and postdocs, as well as faculty from Harvard University and members of various think tanks, also contributed to the study as members of the research team. "Our analysis demonstrates that realizing nuclear energy's potential is essential to achieving a deeply decarbonized energy future in many regions of the world," says study co-chair Jacopo Buongiorno, the TEPCO Professor and associate department head of the Department of Nuclear Science and Engineering at MIT. He adds, "Incorporating new policy and business models, as well as innovations in construction that may make deployment of cost-effective nuclear power plants more affordable, could enable nuclear energy to help meet the growing global demand for energy generation while decreasing emissions to address climate change." The study team notes that the electricity sector in particular is a prime candidate for deep decarbonization. Global electricity consumption is on track to grow 45 percent by 2040, and the team's analysis shows that the exclusion of nuclear from low-carbon scenarios could cause the average cost of electricity to escalate dramatically. "Understanding the opportunities and challenges facing the nuclear energy industry requires a comprehensive analysis of technical, commercial, and policy dimensions," says Robert Armstrong, director of MITEI and the Chevron Professor of Chemical Engineering. "Over the past two years, this team has examined each issue, and the resulting report contains guidance policymakers and industry leaders may find valuable as they evaluate options for the future." The report discusses recommendations for nuclear plant construction, current and future reactor technologies, business models and policies, and reactor safety regulation and licensing. The researchers find that changes in reactor construction are needed to usher in an era of safer, more cost-effective reactors, including proven construction management practices that can keep nuclear projects on time and on budget. "A shift towards serial manufacturing of standardized plants, including more aggressive use of fabrication in factories and shipyards, can be a viable cost-reduction strategy in countries where the productivity of the traditional construction sector is low," says MIT visiting research scientist David Petti, study executive director and Laboratory Fellow at the Idaho National Laboratory. "Future projects should also incorporate reactor designs with inherent and passive safety features." "The role of government will be critical if we are to take advantage of the economic opportunity and low-carbon potential that nuclear has to offer," says John Parsons, study co-chair and senior lecturer at MIT's Sloan School of Management. "If this future is to be realized, government officials must create new decarbonization policies that put all low-carbon energy technologies (i.e. renewables, nuclear, fossil fuels with carbon capture) on an equal footing, while also exploring options that spur private investment in nuclear advancement." The study lays out detailed options for government support of nuclear. For example, the authors recommend that policymakers should avoid premature closures of existing plants, which undermine efforts to reduce emissions and increase the cost of achieving emission reduction targets. One way to avoid these closures is the implementation of zero-emissions credits — payments made to electricity producers where electricity is generated without greenhouse gas emissions — which the researchers note are currently in place in New York, Illinois, and New Jersey. Another suggestion from the study is that the government support development and demonstration of new nuclear technologies through the use of four "levers": funding to share regulatory licensing costs; funding to share research and development costs; funding for the achievement of specific technical milestones; and funding for production credits to reward successful demonstration of new designs. The study includes an examination of the current nuclear regulatory climate, both in the United States and internationally. While the authors note that significant social, political, and cultural differences may exist among many of the countries in the nuclear energy community, they say that the fundamental basis for assessing the safety of nuclear reactor programs is fairly uniform, and should be reflected in a series of basic aligned regulatory principles. They recommend regulatory requirements for advanced reactors be coordinated and aligned internationally to enable international deployment of commercial reactor designs, and to standardize and ensure a high level of safety worldwide. "The Future of Nuclear Energy in a Carbon-Constrained World" is the eighth in the "Future of…" series of studies that are intended to serve as guides to researchers, policymakers, and industry. Each report explores the role of technologies that might contribute at scale in meeting rapidly growing global energy demand in a carbon-constrained world. Nuclear power was the subject of the first of these interdisciplinary studies, with the 2003 "Future of Nuclear Power" report (an update was published in 2009). The series has also included a study on the future of the nuclear fuel cycle. Other reports in the series have focused on carbon dioxide sequestration, natural gas, the electric grid, and solar power. These comprehensive reports are written by multidisciplinary teams of researchers. The research is informed by a distinguished external advisory committee. How will climate change affect plants, soil microbes?